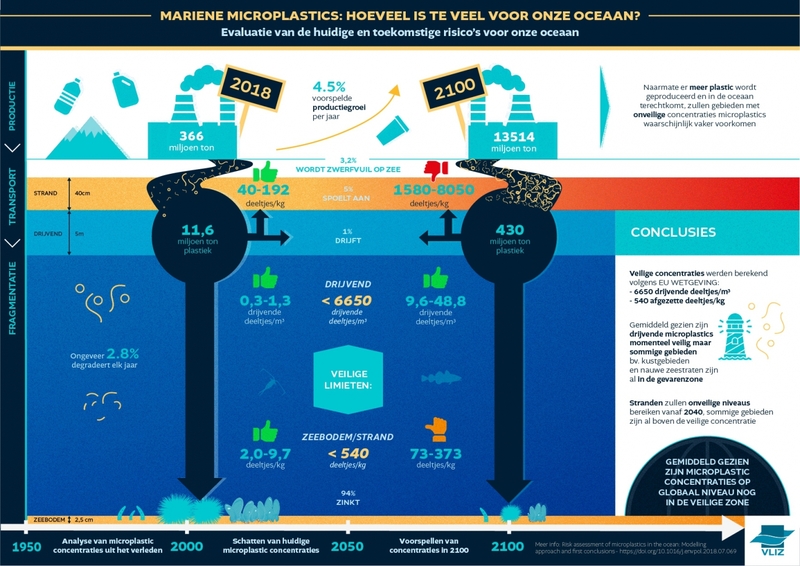 Oostende (2018.09.12) - By 2100, every cubic metre of ocean water will contain 10-50 free-floating particles of microplastic, or fifty times more than at present. Although average concentrations still fall within safe concentration values (6650 particles/m3) calculated for ocean ecosystems, local exceedings of this threshold are already taking place and will become more common. Inshore, harbour and beach sediments are of particular concern. (2018). Marine microplastics: how many is too many for our ocean?. Flanders Marine Institute (VLIZ): Oostende. 1 sheet pp.